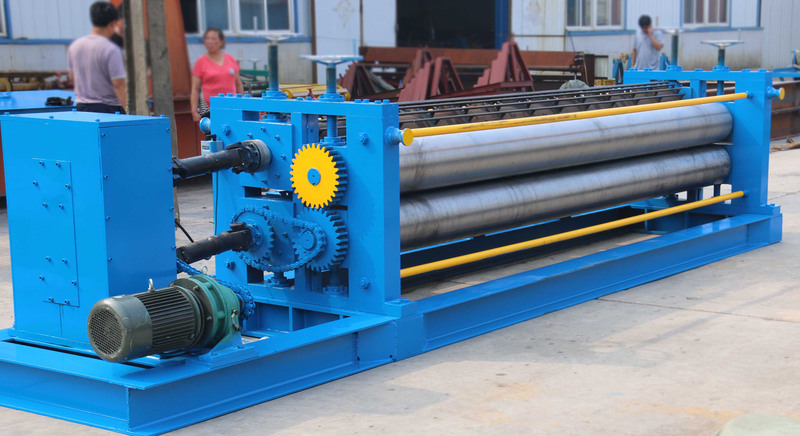 Barrel corrugation machine is specially designed to corrugate super thin coil sheet (thickness: 0.17-0.30mm). Different with roll forming machine, the corrugation machine rolls coil sheet in transversely, which the product width could be 3-6 meters. Raw material: PPGI; full hard, semi hard, soft.